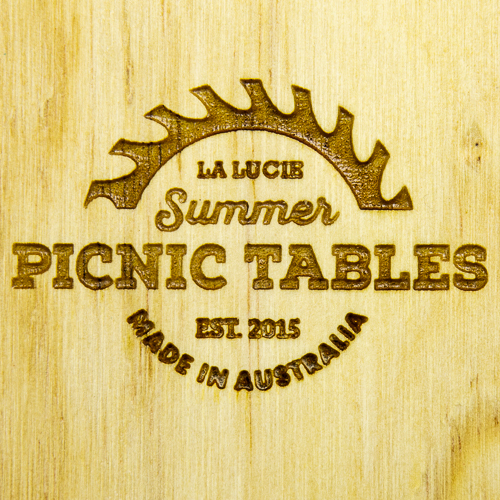 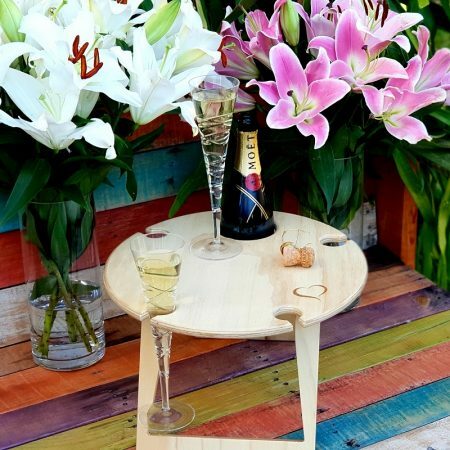 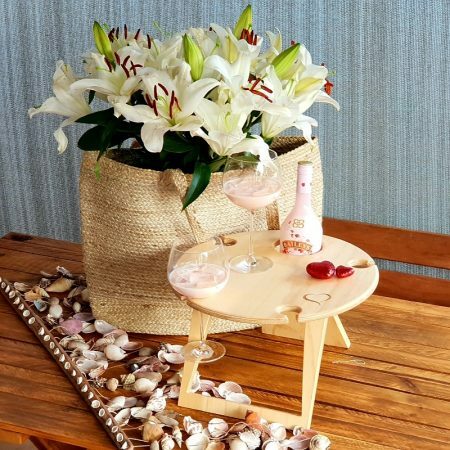 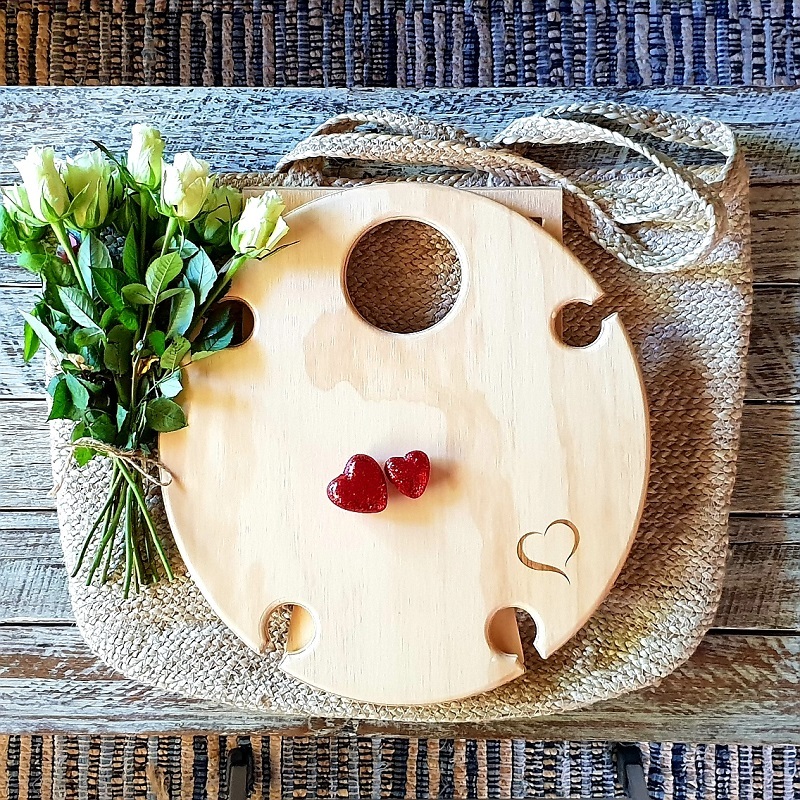 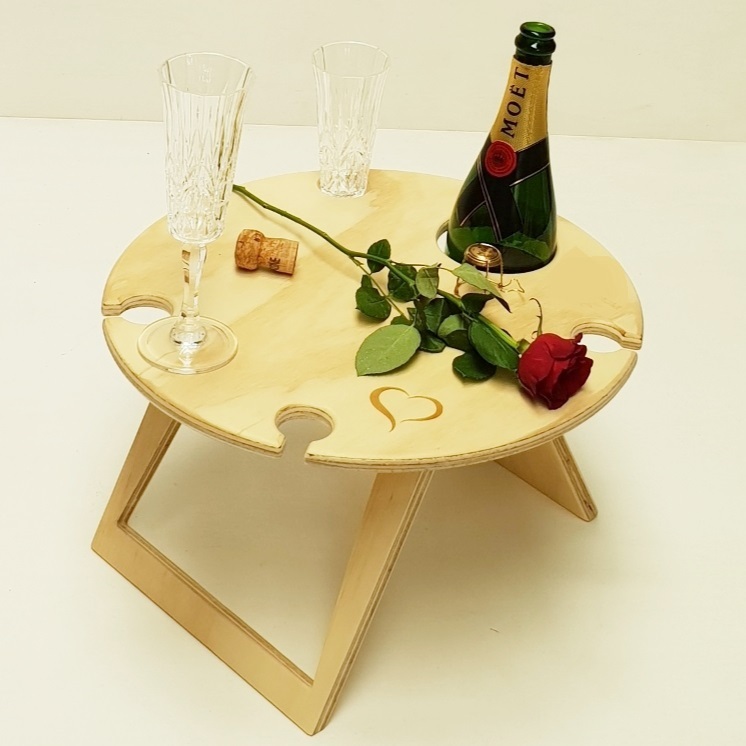 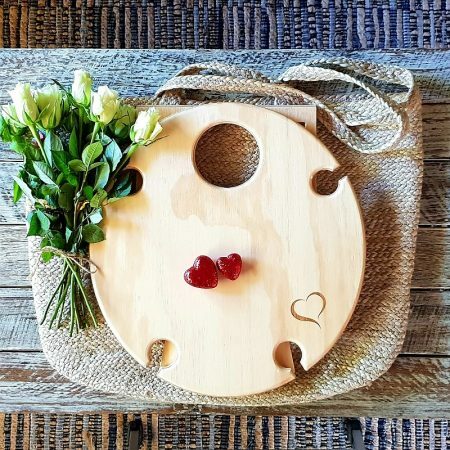 Our Lovers Round portable wine table is inspired by the golden sands and natural timbers of our Australian landscapes and features an engraved Love Heart. 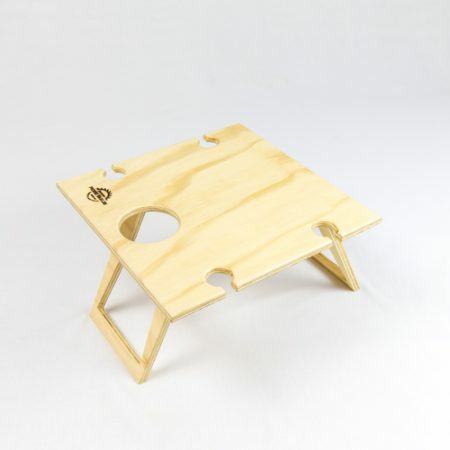 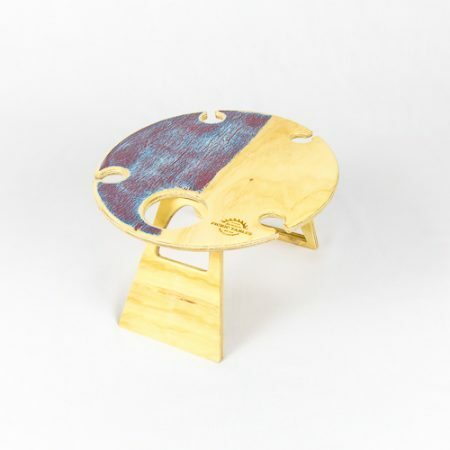 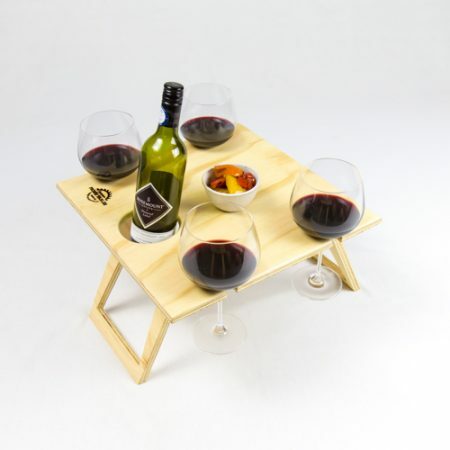 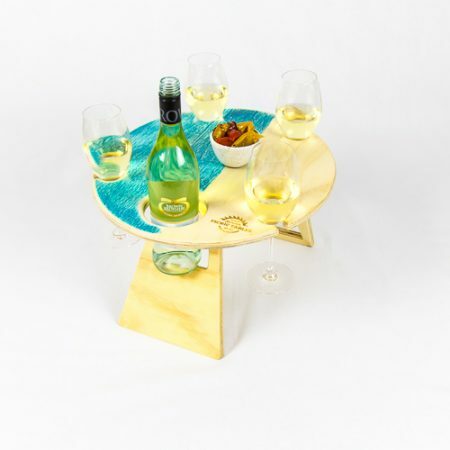 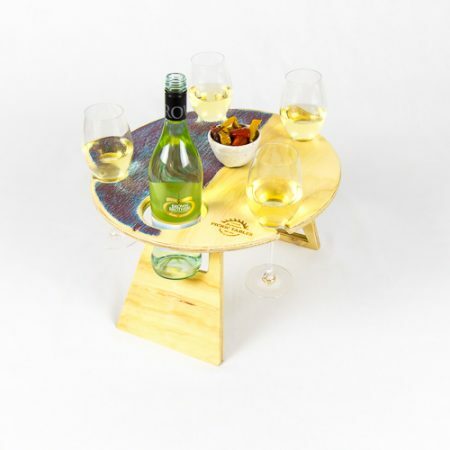 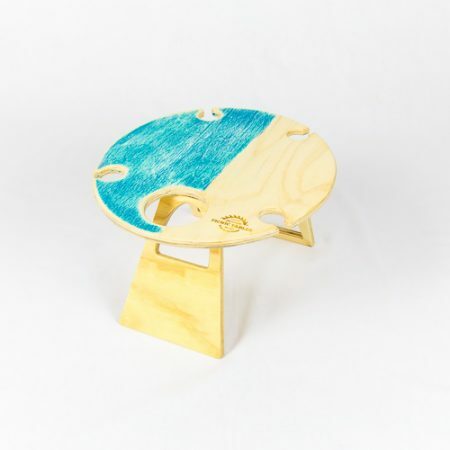 Each portable wine table has wine glass cutouts to keep glasses from spilling, a bottle holder to keep it upright and safe AND enough room for a plate of food, safe and off the ground. 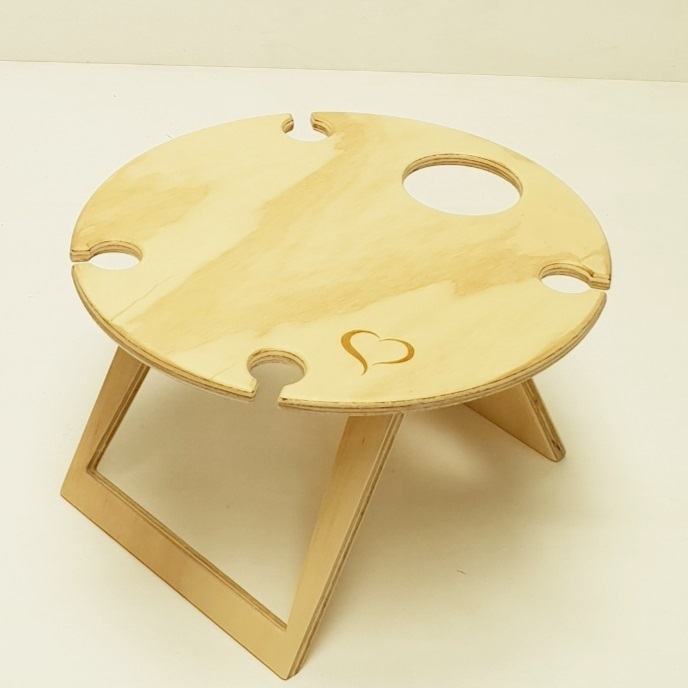 The legs neatly fold under so when you’re finished using it, simply wipe it down, just close the legs down and pop it away.